Bringing more than 12 years of experience across statutory and strategic planning to the team, Amanda is a talented project manager specialising in strategic planning policy, using her skills as a strong communicator to engage key stakeholders and facilitate a clear pathway to obtaining approvals. Amanda takes pride in understanding the client’s vision and values delivering projects as a partnership, building trusted relationships to achieve long-term, sustainable outcomes. Throughout her career, Amanda has been a key driver in delivering master plans for both metropolitan and regional areas and iconic tourism projects, understanding that the people to place connection, whether it be from a local or visitor perspective is the most important factor when planning for a region’s social, economic and environmental future. Angus is an experienced town planner with expertise in urban regeneration approvals across all levels of both New South Wales and Queensland planning systems. Angus’ extensive statutory planning experience and ability to think beyond the standard town planning process has seen him facilitate planning approvals for complex residential, commercial and industrial developments, proactively engaging council prior to lodgement to ensure a streamlined and efficient assessment process. Through Angus’ strong understanding of the commercial realities of property development, he is able to effectively apply a multi-disciplinary approach to problem solving and manage stakeholder expectations in a way that meets project deadlines and achieves high quality outcomes. Announced as part of the UDIA NSW Young Leaders Committee for 2019, Angus will be at the forefront of contributing regularly and directly to planning policy development throughout the year. CEO, Executive Director of Place Design Group, with over 15 years of business experience, Beth Toon was appointed as the first female Director of Place Design Group in 2016. Co-leading the organisation’s international investment team, Beth’s remit has included the commercial growth and evolution of all operational areas including the development of a new, international Quality Management System, HR System, and Rebrand. Beth’s background in Strategic Communications and Marketing has enabled her to apply a fresh approach to planning and design. Catherine Gallagher is a leader and strategist with a reputation for getting things done. A valued member of our Place Design Group Board, Catherine is a key driver in our teams’ Sydney expansion strategy. Experienced in leading transformational change, operational delivery, complex stakeholder management and working in politically sensitive environments, Catherine draws upon her years of experience managing some of Australia’s most high-profile and culturally sensitive precincts. Catherine’s experience, nationally and internationally, encompasses built environment, place-making, asset management, probity and procurement, urban renewal, retail lease strategy, communications, brand and destination marketing, tourism, events and activation, visitor services and issues management. Catherine is particularly passionate about the role the public realm plays as a manifestation of a city’s cultural identity and social values. Focused and driven to achieve great things, Catherine’s motivation and positive approach resonates and uplifts those around her to deliver over and above. Executive Director for Planning at Place Design Group, Chris Isles is a trusted advisor to Australian governments and private developers alike, and leads Urban Planning across eight offices throughout Australia, China and South East Asia. Chris Isles works at the intersection of planning, urban design, commercial viability and data science with his driving energy being the progression and recognition of the critical role that planners have in the cities of the future. Awarded Australian Planner of the Year in 2015, and current member of the World Cities Summit Young Leaders Program, Chris is recognised for his work exploring and facilitating the relationships between commercial feasibility, big data, crowd sourcing and new technology uses within planning and cities. His focus is guided by the global imperative for the planning profession to respond, and keep ahead of the global urbanisation trend to ensure that the future of cities for people is not lost during rapid urbanisation. With over 18 years’ experience in the planning realm, Frazer relocated to Australia from the UK in early 2018 and took on the role of Senior Town Planner in our Place Design Group Gold Coast office. While Planning legislation and policy differs between countries, Frazer has quickly and effectively added value to our clients and their projects with his international planning knowledge and expertise. Frazer is driven by the satisfaction of navigating complex ideas and concepts, turning them into positive client outcomes. He thrives on the diversity offered by planning across the varying sectors in both a strategic and development assessment capacity. 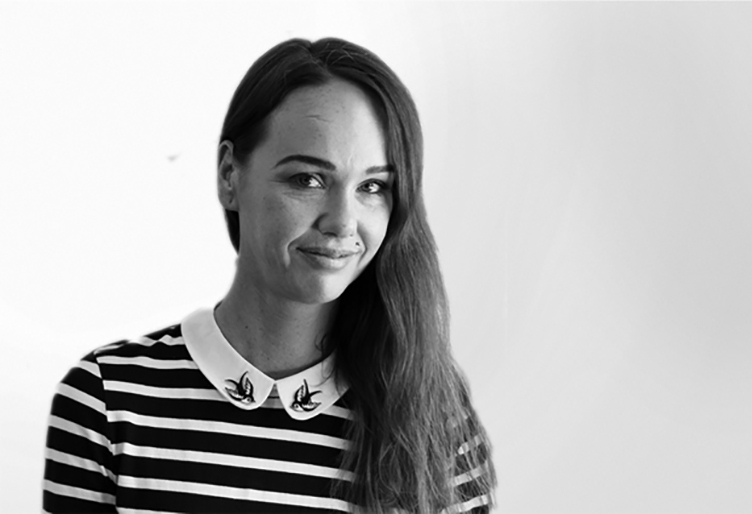 As the Administration Officer for our Sydney Office, Keeley is a highly valued member of the team. Always one to go over and above, organisation is key in Keeley’s role, and she does this with grace and ease, ensuring the team are well equipped, travel arrangements are on point and the office is kept in tip-top shape. Calling or visiting our Sydney office? Keeley will likely be the one to greet or welcome you. With a passion for urban and environmental planning, Lauren is a Town Planner at Place Design Group in our Gold Coast Office. Lauren has led several development assessments on projects throughout the Gold Coast including high rise residential buildings, mixed use developments and master planned subdivisions. It is Lauren’s belief that through planning we can make a positive change to the built environment and our communities, and through her current role, Lauren is able to do just that. With a strong interest and knowledge of planning law, development application process, conservation and strategic planning, Lauren’s motivation and drive to contribute to a community that protects and enhances Australia’s unique environment through planning shines bright. With four years of town planning post qualification experience in the planning and development industry, primarily in the public sector, Madison utilises her vast network of contacts combined with a strong knowledge of Council’s internal processes and drivers to negotiate development approvals in her current role as a Town Planner with Place Design Group. Madison’s project experience in the northern parts of the Gold Coast has provided extensive opportunity and exposure to complex planning projects including residential, commercial and industrial sites. Madison’s working knowledge and previous experience of the planning industry drives her passion for town planning and enables her to deliver considered and strategic advice to optimise the commercial outcomes for developers and landowners. Matthew brings over five years’ international experience working across both the private and public sectors, on both small- and large-scale projects. Matthew’s strengths lie in the broad scope of his experiences, actively involved in the design process from concept generation to final construction documentation for a variety of projects in over twenty-two countries. Passionate about urban design and the role of landscape architecture in the city environment, Matthew’s advanced capabilities in AutoCad, SketchUp, 3D modelling and advanced plan rendering allows an integrated and conceptual approach, delivering fresh ideas and high-quality design solutions. On top of this, Matthew’s project management skills contribute to his ability across a variety of project areas and design scales.